We all woke up this morning to incredible news on Microsoft’s acquisition of LinkedIn for $26.2B, or $196 per share, a 50% premium over the previous LinkedIn stock price. While many have already remarked on this bold move by Satya Nadella and what this could mean for both Microsoft and LinkedIn’s respective businesses, I wanted to share three observations on larger trends this embodies across our industry. The public markets can be brutal, irrational, and above-all-else, consistently suffer from a short-term mindset. Regardless of the best efforts of public company executives and employees, it’s impossible to completely ignore the run ups or crashes of stock value that Wall Street creates and not allow that to influence decision-making within the organization. Yet the best run companies all know that taking a long-term view and being tolerant of short-term failures is absolutely necessary for enabling sustained disruptive innovation. LinkedIn’s stock was one of the latest tech stocks to suffer at the hand of the public markets, with a dramatic share drop in February 2016 of 43%. 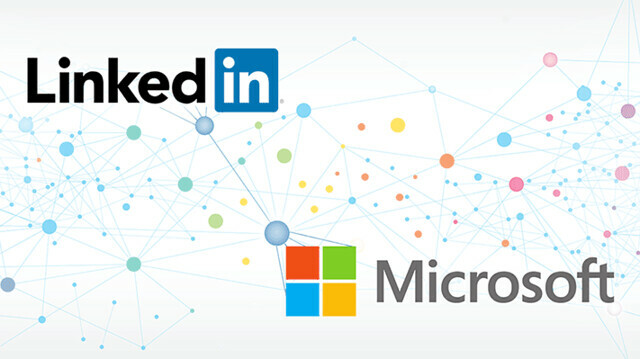 Bringing LinkedIn under the fold of Microsoft will significantly reduce the short-term pressure created by the public markets and enable LinkedIn to take a far longer-term view when making investments across it’s portfolio of products and services. I’m bullish on the potential this can unlock for the firm as I’m a strong believer in the incredible unmet opportunity that lays before LinkedIn in continuing to grow the #1 professional network. So many in the valley have realized the short-term narrow focus of the public markets and have proactively employed a variety of techniques to avoid it. Both Google and Facebook leverage rare dual-class share structures to enable the founders to maintain control independent of stock ownership. The rise of private $1B+ unicorns in the valley like Uber, Airbnb, Palantir, Dropbox, and more are all a result of the founders desire to delay entering the public markets and becoming subject to these short-term concerns. Even today’s announcement by Eric Ries of developing a Long-Term Stock Exchange (LTSE) is all about trying to develop an alternative liquidity market that doesn’t suffer from the consequences of such short-term focus. We will continue to see founders and executives proactively fight the very nature of Wall Street as they continually seek the freedom to maintain their absolutely necessary long-term focus. One of the widely adopted notions in the valley popularized by Clay Christensen is that of the innovator’s dilemma. The idea is that the largest firms will often be disrupted by young upstarts because they end up focusing too much on their existing customer’s current needs, leaving room for upstarts to leverage new technology and new business models to address customer’s future needs. It’s resulted in many coming to believe that startups truly have the potential to disrupt absolutely any goliath in any industry, even technology leaders themselves. Along these lines, I remember when first moving to the valley so many talked about how Microsoft was the new IBM and would be dead in no-time. And yet what we’ve in-fact seen happen amongst tech giants in the valley is quite the opposite. We’ve seen the incredible rise in power of Google, Facebook, Apple, and Amazon. Each of these tech behemoths is not only surviving, but absolutely flourishing. They’ve continued to grow their core businesses at breakthrough rates as well as continually invent disruptive innovation in entirely new markets, like Android, Facebook Messenger, iPhone, and AWS. The question becomes why have they been able to do this and succeed in popularizing new innovation in many ways faster than young upstarts entirely dedicated to such innovation? There are quite a few factors that I believe the tech giants now have in their favor. The first is cash cow businesses that they can use to continually invest in new opportunities. Each has enjoyed thick margins and aggressively increasing market share in their core markets, enabling investable cash reserves that create incredible advantages, especially in light of tightening venture capital. They’ve also done a great job recently of attracting talent. Not only do they have the cash to pay out, but they’ve created innovative cultures and exciting new projects to work on that has allowed them to maintain high caliber talent as opposed to letting them leave to start their own startups. We’ve also seen strong defensive competitive advantages accumulate to the tech giants, whether it’s network effects for Facebook or immense access to troves of data that can’t easily be re-created by smaller startups, but are necessary for enabling such innovation as self-driving cars, artificial intelligence, machine learning, and so much more. Having access to the resources of these tech giants now creates immense opportunity for continued innovation and I suspect this dynamic will continue for some time to come. And now LinkedIn joins the ranks of having access to these resources by folding into Microsoft. Classically when acquisitions have been contemplated, the predominant driving force has always been synergies: how to create more value through a combined organization that is greater than the sum of the individual organizations pursuing their own fate. While this makes sense, it’s classically led to complex integration roadmaps to look to remove redundant resources and get various parts of the organization working on overlapping areas together to directly invent those synergies. Unfortunately we’ve seen a ton of acquisitions fail in taking this approach. Microsoft itself has had many such failures in realizing the full potential of acquisitions like Yammer, aQuantive, Nokia, and more. Yet an entirely new model has emerged more recently where acquired organizations are run as completely independent business units that continue to have their own charter, their own P&L, and their own goals. Certainly synergy scenarios still end up being fairly important, but they no longer become prioritized as synergies for their own sake, but as leverage points for the independent subsidiary to pick and choose how they can realize their own full potential. Google leveraged this model incredibly successfully with both YouTube and Android in the earliest days of their acquisitions. Facebook has also leveraged this same model with Instagram and WhatsApp. Each of these acquired businesses is not only succeeding but thriving and growing to absolutely new heights thanks to the right structure setup from day one. As Microsoft and LinkedIn plan to leverage this new subsidiary model with Jeff Weiner remaining as the CEO of LinkedIn and continuing to run LinkedIn’s 10K-person organization independently, I believe the LinkedIn acquisition is far more likely to resemble the fate of YouTube and Instagram than some the more challenging acquisitions Microsoft has had in the past. It’s an undeniably exciting time in the valley as we’re seeing the dynamics of the industry evolve at a break-through pace and I look forward to watching not only the LinkedIn acquisition, but the broader dynamics of this new reality take shape.